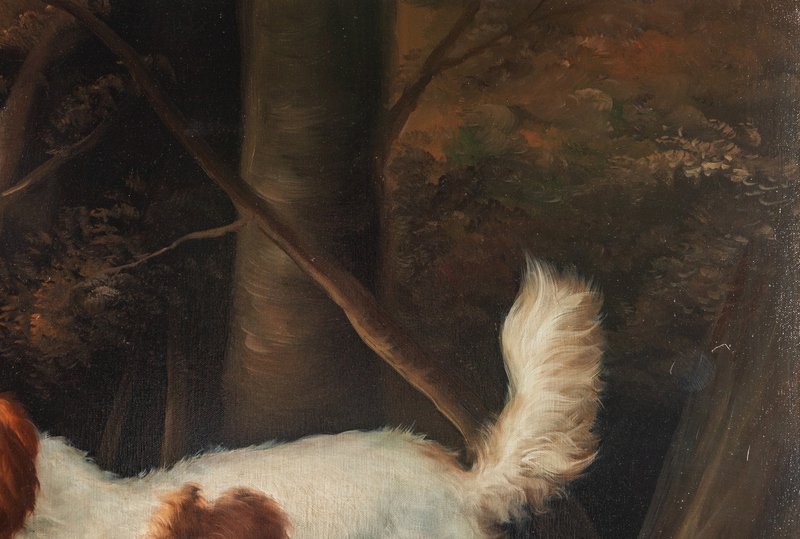 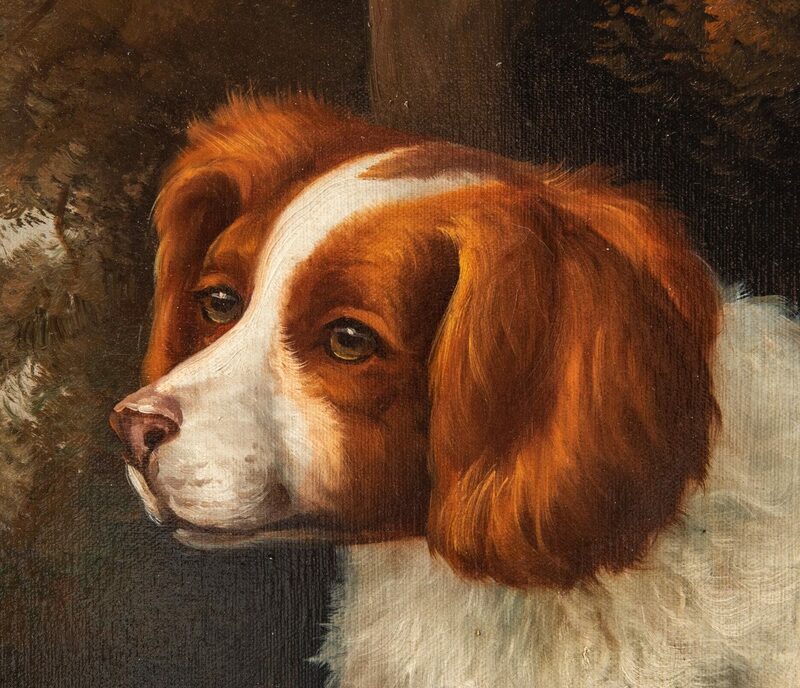 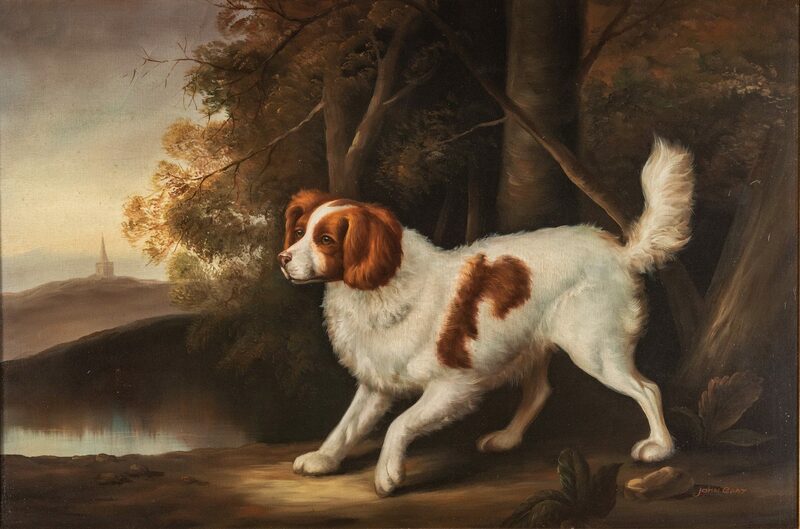 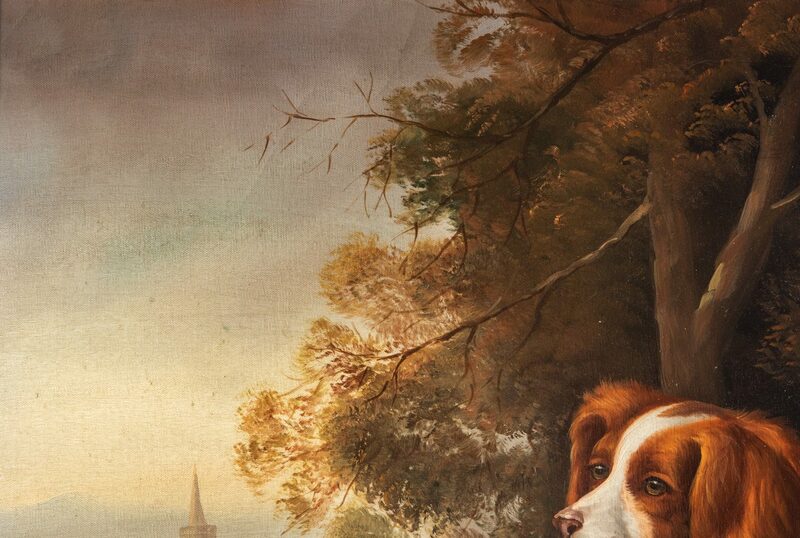 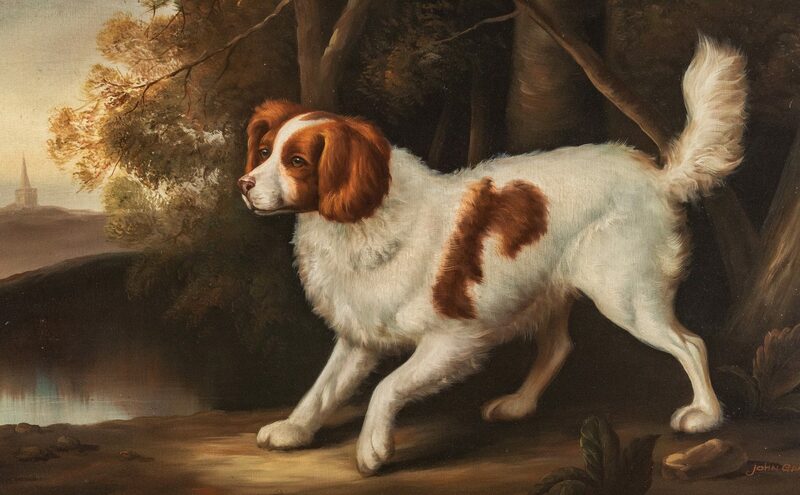 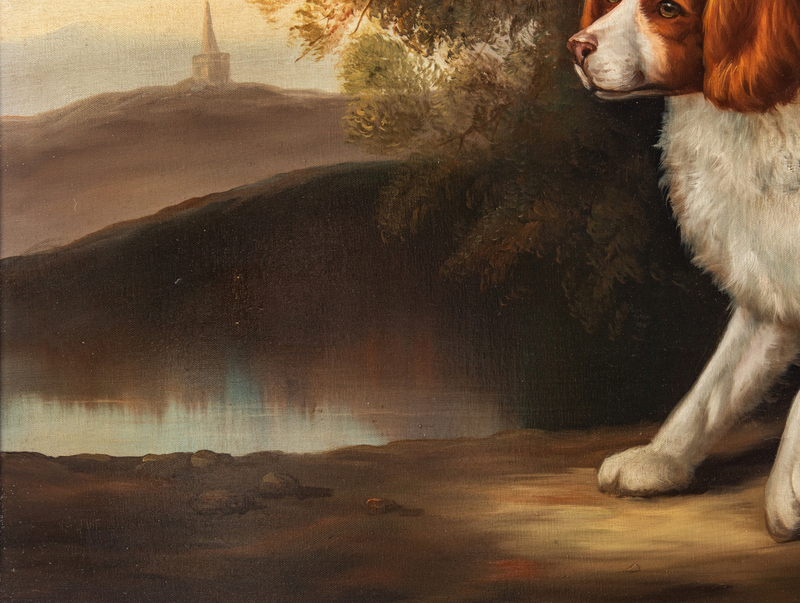 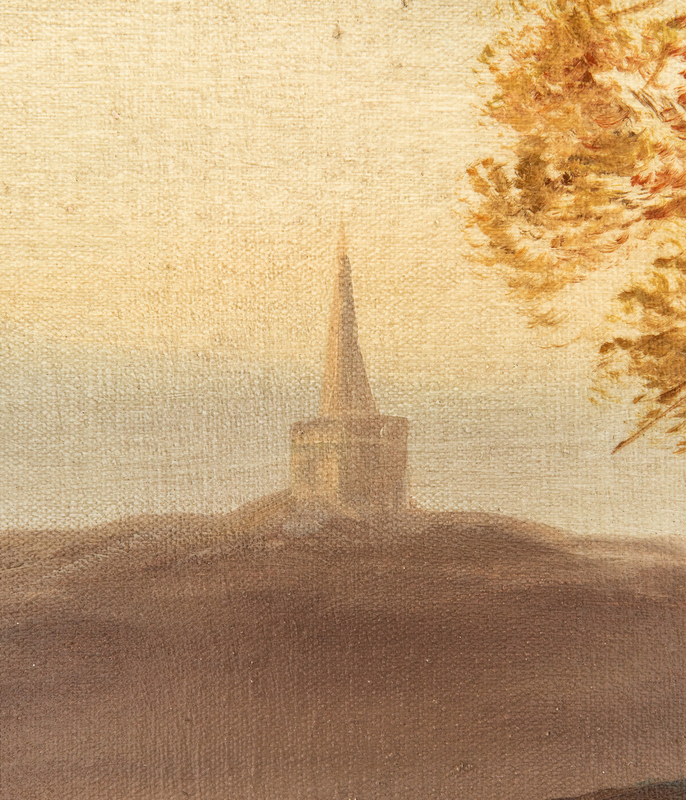 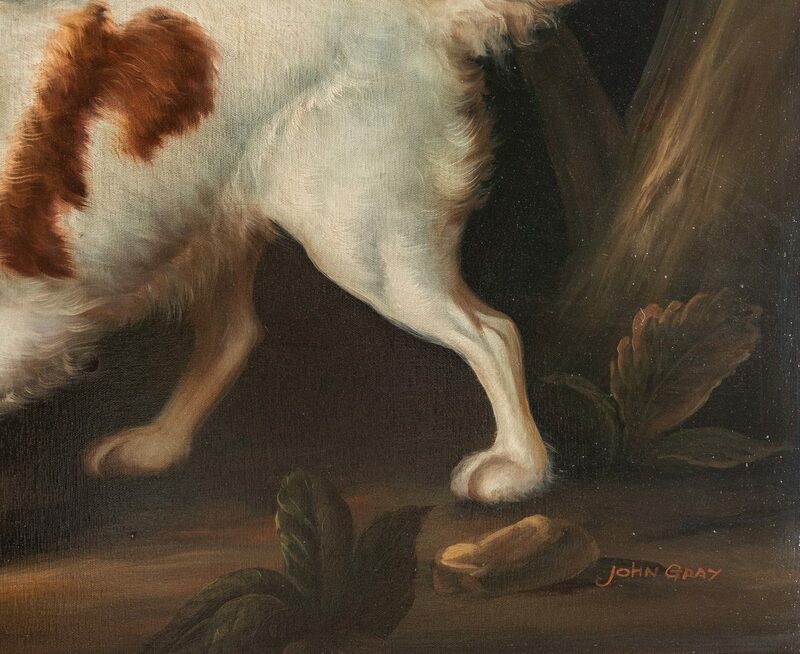 John Gray (United Kingdom, 20th century) oil on canvas portrait of a King Charles Spaniel standing against a landscape backdrop. 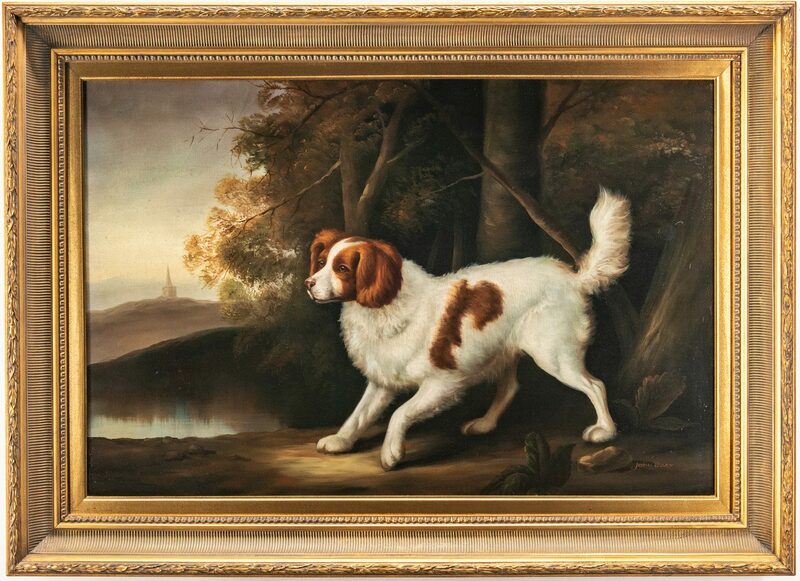 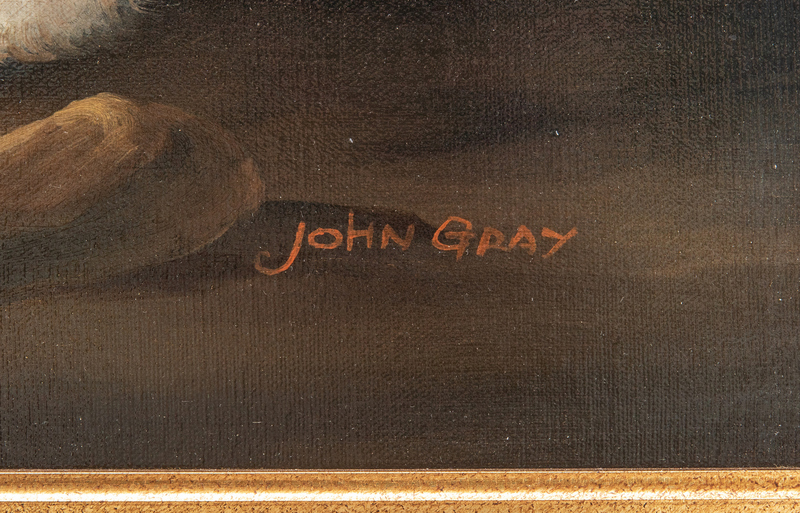 Signed lower right and housed in a contemporary carved and molded gilt wood frame. 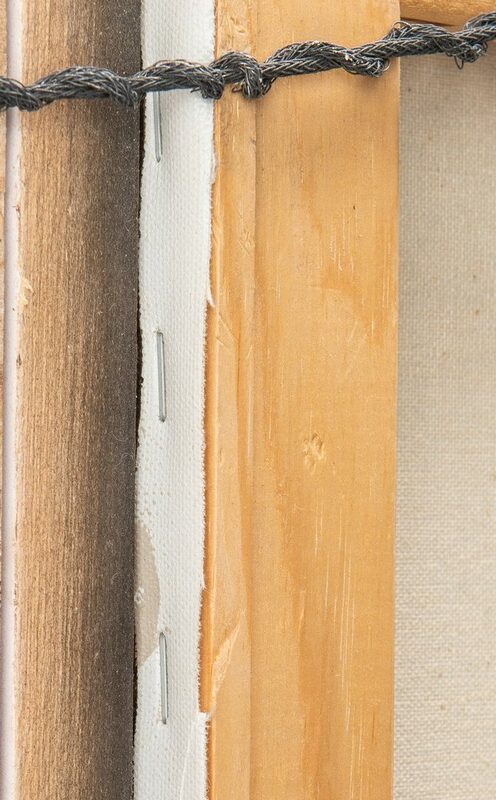 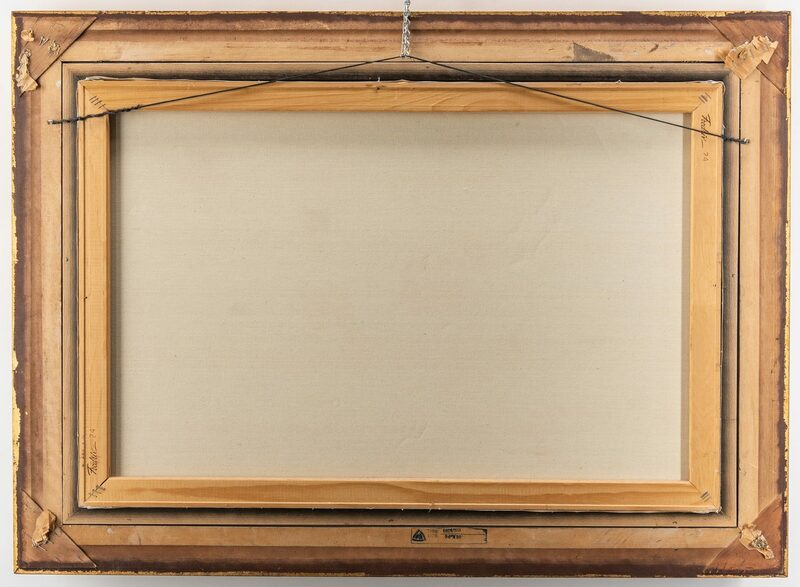 Sight – 23 1/2" H x 35 1/2" W. Framed – 32" H x 44" W. Early 20th century. CONDITION: Overall very good condition.